Posted on September 13, 2015	by Rev. Joe Jagodensky, SDS. I met Aaron Rodgers today in the mall. No kidding. I didn’t know that he was black. I then met him again near Boston Store but he was Asian. No kidding. Still, – one more -I met Aaron outside Victoria Secret and he’s a woman! (Bruce, step aside.) Aaron’s quite a guy in Wisconsin as the Packer season begins and all thoughts and dreams are linear…whether this year or not? I care as much about the Packers as I do about Hillary’s emails but I do care about the issues pushed aside during these boring weeks of ups and downs from employees at work endlessly talking about people I don’t know (and they don’t know either) while how many social issues persist remain to be persisted. When I belittle employees about their Packer loyalty they tell me that it’s a clean escape from the issues of the day and these are the same people who multi-task at work when can I barely get my one task completed. But it’s the jersey name that intrigues me on the back of a 20 or a 50 year old. 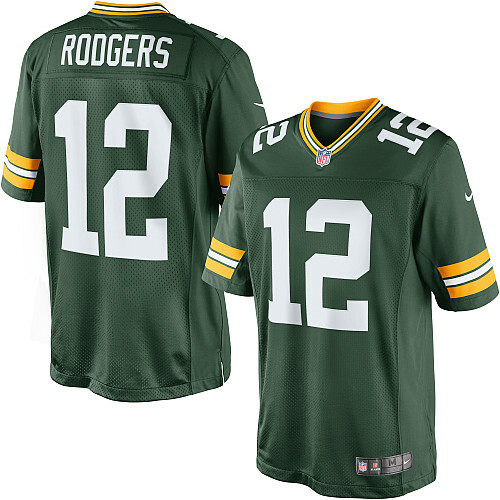 The jersey costs $119.00 or $94.00 for Aarons’. (Please read that sentence a second time!) That doesn’t include the hat; I’m sorry the cap on the head of a bald man who’s only driven past exercise places and promised his wife 30 years ago to attend one. Identity is a pretty personal and cherished thing in our culture and in our minds. I’d need an agent before I were to wear green and gold with someone else’s name on my back. Identity is hard won and I would prefer people know me as who I am and not some Aaron somebody who replaced the guy we once loved, then loved to hate and then loved again. I can’t remember his name. Besides, green and gold aren’t my colors. I would, however, wear a black and white jersey if it said “Mel Torme” on the back. At least, I’d be closer to my identity than that Asian guy is to Aaron. This entry was posted in Spirituality and tagged Green Bay Packers. Bookmark the permalink.